Having survived the prophesied end of the world and taken in an historic presidential inauguration, 2013 is already full of indications that the beginning is near. As we consider how to spend our days in this coming year, we do so with an increasingly clear sense of the unique calling of Minnesota Rising. We intend to continue creating spaces where those who care about Minnesota and their own futures can connect, share stories, and collaborate. We aim to organize learning labs focused on key collaborative leadership competencies as well as opportunities in which to collectively practice these critical skills that will serve our generation as we rise. Most importantly, we will do these things operating from our core values of engaging a network and community as wide and open as Minnesota and with a future focus that allows us to act now with intention and shared purpose. The path ahead is further illuminated by each step we take, and we hope you join us on the journey as we continue to make the road by roaming! "Engaging All Generations of Changemakers"
Thanks to MinnPost for picking up my commentary for the Fall 2012 edition of the Citizens League's Minnesota Journal, entitled, "Next steps, now: Civic policy making in practice among the Millennials." Please consider joining us as we look to expand the Minnesota Rising Cascading Conversations Tour this year - we're looking for Advance Team members, emerging leaders to profile on our blog, and your most vivid and idealistic ideas for the future of Minnnesota. Let us know how we can connect with you this year, either in the comments below, on social media, or at minnesotarising[at]gmail.com. Let's go upward and onward, together! In May 2009, inspired in part by my engagement with a Citizens League Action Group focused on connecting young people with opportunities for meaningful community engagement and volunteerism, I began blogging about active citizenship, emerging leadership and issues of relevance to the millennial generation in Minnesota. What can we emerging leaders do now to build relationships, trust and a shared vision for Minnesota so that we, today and in 20 years’ time, can be more successful in implementing it? This question pushed me to seek out others’ insights. During the year and a half that followed, I completed nearly 50 one-on-one conversations, sharing my ideas and vision for a network of emerging leaders — which became Minnesota Rising — and listening for how it might be applicable to the efforts of local emerging leaders and their organizations. I attended numerous young professionals’ events, met with leadership from a range of emerging-leader organizations and was invited to speak about Minnesota Rising at the Minnesota Jaycees 2010 Annual Convention. After some initial conversations and a year of online interaction via Twitter, Facebook and blogging, I developed enough followers and friends to begin engaging in large-group conversations with emerging leaders across the Twin Cities. We convened the first meeting in May 2010, with 20 people in attendance on a Saturday morning, including representatives from many of the key emerging-leader organizations. The opportunity to map the myriad existing young-professionals groups and the potential to develop some type of generational agenda with other emerging leaders excited those in the room. At the close of the gathering, we agreed that we should continue to meet in this manner and determined that one way to move forward would be to jointly plan a large event that each of our groups could benefit from as well as help carry out. A 10-person planning committee began working to develop content, logistics and outreach for the first Minnesota Rising Un/Conference, so named for its hybrid of traditional and innovative activities for facilitating conversation and interaction. We enlisted 16 Network Partners to help promote and execute the event, brought on four event sponsors, and despite a surprise snowstorm, had 70+ attendees present out of the more than 100 registered. The Un/Conference, focused on the potential the rising generation has to contribute to Minnesota, energized the attendees, many of whom have since engaged more deeply with Minnesota Rising as it seeks to build the network for what’s next. With massive numbers of baby boomers retiring, Minnesota's work force and demographics will look dramatically different in just a few years. One oft-noted issue of concern is the leadership gap that will deepen as many seasoned, longstanding executives and leaders retire. While some succession planning has taken place, the sheer number of the baby boomers means their departure will have a profound impact on how business and society function in coming years. The challenge of a successful transition of power is heightened by the lack of an emerging or middle talent pool that has been cultivated with skills, institutional knowledge and relationships, and a shared vision for how to proceed. Without a sustained group of leaders and citizens committed to the betterment of Minnesota, policymaking and critical decisions are subject to the vagaries of political cycles and partisan campaign promises. Policy decisions and conversations have to be broader than election cycles; otherwise, they are subject to progress within the confines of two-, four- or six-year terms. The tough problems we face as a state will not be solved with shortsightedness and polarization. The Citizens League’s new method of civic policymaking not only allows for a more expansive understanding of who can be policymakers (emerging leaders as well as established), but also invites new ways to participate in public dialogue and engagement. As we’ve learned with Minnesota Rising, we need to forge a new civic discourse, built on trust and relationships cultivated over time. This culture shift won't take place easily or overnight. It may, in fact, take an entire generation to change the conversation. That's why we need to begin the work now. 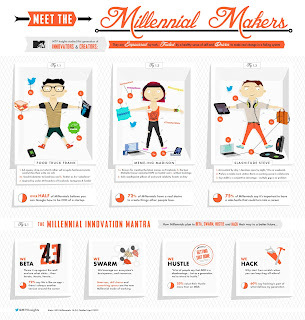 Emerging leaders are poised to be the next Greatest Generation. Unlike previous generations' brick and mortar legacies, the very manner in which today's emerging leaders conduct their work may ultimately be the most powerful contribution we make to our society. The work of developing a shared vision for our generation is being co-created, and while we have some general principles and parameters, the end remains to be seen. For the time being, it seems that the work is an attempt to shift society from back-room dealings to relationship-based politics and a culture of collaboration. The intent is for emerging leaders to learn a new way of being before arriving in positions of leadership to repopulate the old systems. This new way is achieved through collaborative leadership. Over the coming years, we hope to create a powerful, idealistic, vivid vision of the future in Minnesota through engaging emerging leaders, high-schoolers, college students and more across the state. Through the Minnesota Rising Cascading Conversations Tour, we’ll seek to discover our shared visions and values and to leverage expansive leadership to build our Minnesota. Working collectively, we will be able to identify, nurture and take with us the best of our generation as we move up and on in life. Together. Diane Tran is a Citizens League board member and blogger/coordinator for Minnesota Rising. She is also a project manager at Grassroots Solutions. The 113th Congress may boast a record-breaking 20 female senators, but that still isn't quite near 50/50. To get more women on the congressional or presidential path, we've got to start sooner and begin more locally. AAUW and Running Start are partnering with the University of Minnesota - Twin Cities to host the Elect Her - Campus Women Win training to support college women in running for student government positions in their universities. Know a young women who you want to ask to run? Be her first vote and nominate her to participate or encourage her to apply directly! Elect Her-Campus Women Win is a 4.5 hour training that is held on campuses and that teaches college women how to run for and win student government positions at their institutions such as the University of Minnesota-Twin Cities. The training covers skills such as how to mobilize a constituency, how to craft a message, and how to speak confidently and present oneself as a candidate. Outside experts and current and former student government officials speak to participants about their experiences and what they have learned from running for office. In addition to leadership training through Elect Her-Campus Women Win, we want to provide more college women the valuable experience of running for and serving on student government because there is a clear connection between service in student government and future political service. Sponsored by AAUW and Running Start, the University of Minnesota-Twin Cities has been selected as one of 39 sites on college campuses across the country to host this training this year. In conjunction with its partners, the Women’s Center is pleased to have the opportunity to bring this training to the University of Minnesota. It is an exciting time for women in politics; as a result of this past election there will be more women in Congress than ever before. Still, there is much work to be done. We believe it can happen here, right at the University of Minnesota-Twin Cities. Participants in this training are women who are interested or have considered running for student government. It is NOT expected that participants have prior political experience; that is what the training is for. We strongly encourage women of all identities and backgrounds to apply. We recognize that women have many other identities in addition to their gender. It is important that women step into leadership roles to not only provide a voice for other women, but also for the other identities they might hold such as their race, ethnicity, sexual orientation, ability status, religion, age and more. This training is open to BOTH undergraduate and graduate/professional students who are interested in running for: Minnesota Student Association (MSA), Graduate and Professional Student Assembly (GAPSA), Student Senate, or other opportunities. Elect Her-Campus Women Win will be held on Saturday, February 23, 2013 from 9:30 a.m. - 2:30 p.m. in Coffman Memorial Union. All participants are asked to stay for the entire training. Interested students can apply online or download the application in Microsoft Word format. (please email your completed paper application towomen@umn.edu or turn into: Women's Center, 64 Appleby Hall, 128 Pleasant St. SE, Campus Delivery Code 3503, Minneapolis, MN 55455).Applications are due by midnight on Friday, February 8, 2013. Applicants will be notified of their application status on a rolling basis. Do you have someone in mind that you think might benefit from this experience? You can nominate a student for the training at z.umn.edu/electhernom; once you submit your nomination, we will send them instructions on how to apply. Nominations are due by midnight on Friday, February 1, 2013. Check back in the coming weeks for the full schedule. For questions or for more information, contact Sara Pennebecker at 612-625-0629 or penne048@umn.edu. You may wonder why they don't play music videos anymore, but maybe it's because MTV has been hard at work garnering insights about the Millennial generation's impact on different areas of culture and commerce as we come of age. 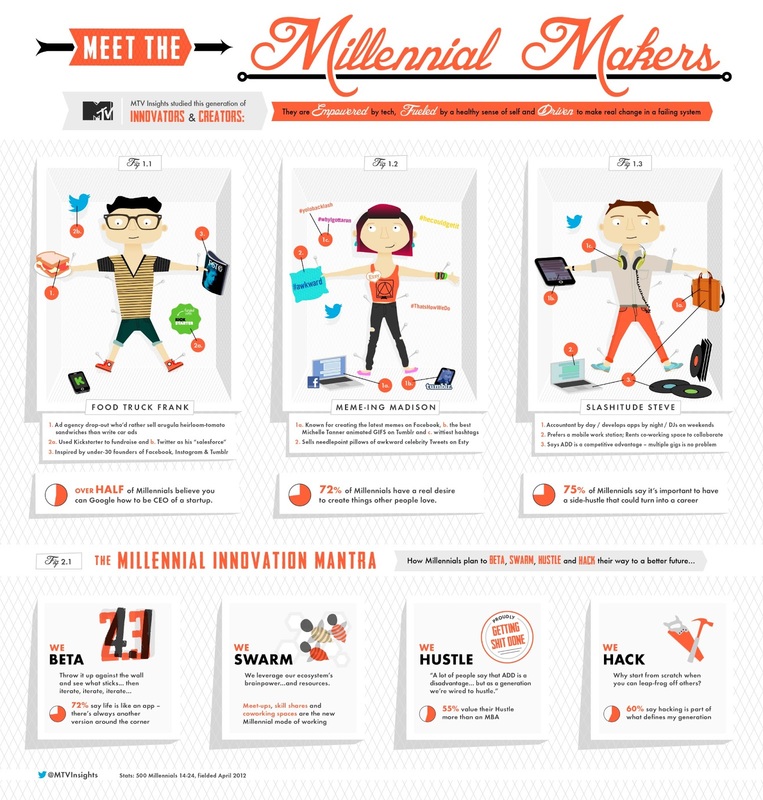 @MTVInsights recently introduced the "Millennial Makers," three characters who depict how Millennials are empowered by tech, fueled by a healthy sense of self, and driven to make real change in a failing system. Check out Food Truck Frank, Meme-ing Madison, and Slashitude Steve below! Bring your own breakfast and YNPN Twin Cities will serve up a healthy side of leadership! Register for the B.Y.O.B. Breakfast of Champions Series to get the inside scoop on how three nonprofit leaders made their way to the top and what advice they can share as you journey on your path. 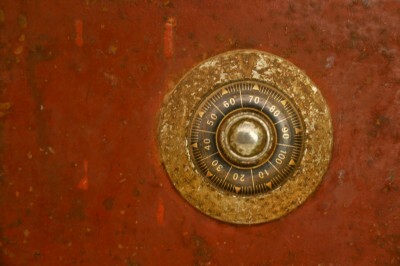 Make 2013 your most networked year yet! 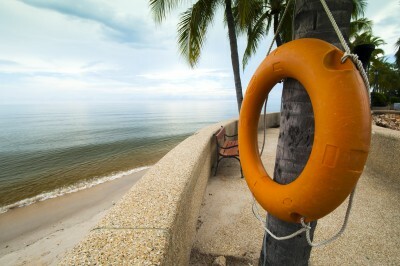 Looking to get to the next level in your nonprofit career? At YNPN Twin Cities' new B.Y.O.B. Breakfast of Champions series, nonprofit CEOs and Executive Directors will share with you exactly how they did it, what they learned and what they're looking for in a rising nonprofit leader. Bring your own breakfast and your questions. REGISTER fast as there are only 20 seats available at each breakfast. You can only register for one breakfast per series of three. Trista Harris is the executive director of the Headwaters Foundation for Justice, a community foundation with a mission to act as a catalyst for social, racial, economic and environmental justice. She is nationally known as a passionate advocate for new leaders in the philanthropic and nonprofit sectors. She writes about generational change on her New Voices of Philanthropy blog and co-wrote How to Become a Nonprofit Rockstar with Rosetta Thurman. Hussein Samatar is the founder and executive director of the African Development Center, an entrepreneurial nonprofit organization that works within the African communities in Minnesota to start and sustain businesses, build wealth, and promote community reinvestment. In this capacity, he has created several culturally-targeted alternative finance products, and is frequently engaged to address financial, governmental, and other community institutions on the topic of building wealth in emerging markets. Chanda Smith Baker is president and CEO of Pillsbury United Communities, working to create choice, change and connection for people from all walks of life. She worked in various roles at PUC before taking the top spot, including chief learning officer, vice president for strategic partnerships and director of government and community relations. Copyright © 2013 Young Nonprofit Professionals Network of the Twin Cities, All rights reserved. Feeling pressed for time in all the change-making you've got on your agenda? Consider the potential to avoid having to personally learn some key lessons the hard way, by gaining first-hand accounts of the challenges and difficult situations community leaders have faced and overcome to realize their dreams. Fourth Generation invites you to take part in their "What I Wish I Knew" series, featuring Tom Warth of Books for Africa. Invest some time on the front end, and you can spend your time making other valuable mistakes and discoveries in the future! Fourth Generation welcomes Tom Warth of Books for Africa to talk with young professionals about his philanthropic journey that resulted in the well-known nonprofit, Books for Africa. To learn more about Tom and Books for Africa, plase visit the website http://www.booksforafrica.org/about/tom-warth-story.html. Fourth Generation's "What I Wish I Knew" series is open to all young professionals interested in learning more about philanthropy. Members are encouraged to invited friends and colleagues. The Greater Twin Cities United Way Emerging Leaders invites you for a Think + A Drink with Jody Thron of The Center for Good Work. As part of the invitation to an intentional life and intentional leadership, the evening's facilitated conversation will focus on discovering your core purpose and passion. We can all think and drink to that! Through actions and words, every leader tells their own story...do you know what yours is? Emerging Leaders invites you to connect with old friends, make new ones and experience a journey of self-discovery of your core purpose and passion in your life through a facilitated, interactive conversation with President and Chief Coaching Officer Jody Thron of The Center for Good Work. Guests are welcome and encouraged! You're Invited: Matt Booth at the Minnesota Jaycees Annual Convention! We're pleased to pass along the following invitation from the Minnesota Jaycees for local emerging leaders to attend their upcoming professional development opportunity featuring Matt Booth. While Matt will be offering a couple of sessions throughout the day, the “Chase your Dreams” seminar seems particularly helpful for those among us who have not yet finalized our new year's resolutions. See more details below and register online by January 20th! 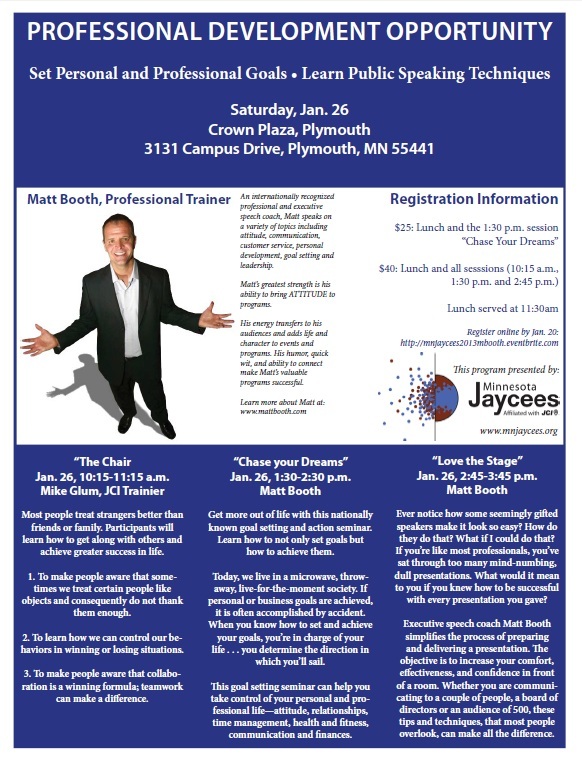 I am excited to announce that Matt Booth, internationally recognized speaker and coach, will be speaking at the Minnesota Jaycees Annual Convention on Saturday, January 26 2013 at the Crowne Plaza in Plymouth, MN. We would like to invite you and your friends to this event! Please send this on to invite your members and contacts! Include them in on this fantastic opportunity! See the above flier for more specific information on the trainings, Matt Booth, times and location. An internationally recognized professional and executive speech coach, Matt speaks o a variety of topics including attitude, communication, customer service, personal development, goal setting and leadership. Matt's greatest strength is his ability to bring ATTITUDE (or Mattitude!) to programs. His energy transfers to his audiences and adds life and character to events and programs. His humor, quick wit, and ability to connect make Matt's valuable programs successful. The Minnesota Jaycees develops local leaders through community service. We engage young people through project management and social entrepreneurship that makes an impact in their communities and builds leadership skills. Jaycees around the state are responsible for organizing community festivals, fundraisers for other nonprofits, and creating opportunities for community members to engage with one another- all through activities that develop leadership among local young people. We look forward to seeing you Saturday, January 26th! It's getting mighty cold outside as we begin to hit what are generally the coldest weeks of the year in Minnesota! While some of us shiver for the few minutes we're outside waiting for the bus or walking the dog, there are scores of homeless Minnesotans who regularly spend their nights wherever they can find a break from the wind. Join St. Stephen's Human Services during their next Unsheltered Count to help identify these individuals and contribute to the data that aids housing and shelter programs in meeting the needs of those struggling with poverty and homelessness in our communities. The next Unsheltered Count will take place on Thursday, January 24 from 7am to 8pm. This quarterly survey aims to identify individuals who are unable to find a safe place to spend the night. This information is used to identify trends and inform housing and shelter programs to help meet the needs of those struggling with poverty and homelessness. The count takes place at several sites throughout Minneapolis. If you are interested in helping out, please contact Michelle Perrin at mperrin@ststephensmpls.org or call 612-879-7627.
zAyma Theater Project performs There's No Place Like Home - Friday, January11th 7pm at St. Stephen's Administrative Offices located on Nicollet Avenue. $10 at the door, or donation. Institute on Ending Homelessness: 20 Years Under the Bridge: Ending Long Term Homelessness - Monday, December 14th 5:30pm at St. Stephen's Administrative Offices located on Nicollet Avenue. Minnesota Rising is starting the new year off with all kinds of refreshing! Plan to swap clothes and ideas at our 2013 Goals Gathering next week, or one or the other if your schedule doesn't allow for both. We look forward to seeing your wardrobe remnants and working with you to make a plan for how we can each contribute to the future of Minnesota and the Minnesota Rising network! Let's swap stories and garments of clothing! Please bring unwanted items that you think someone else might find useful. This can include clothing, shoes, jewelry, books, and other stuff. Anything that doesn't find a home will be donated. Get some free stuff, give some stuff away, eat some food, and swap stories and clothes with others in the Minnesota Rising network! *Anyone who brings snacks gets a gold star. Everyone is welcome! Feel free to invite friends if you like. After a great review of the many adventures and conversations Minnesota Rising engaged in during 2012, we're ready to start afresh with new dreams and ideas for what 2013 will hold. Come help us brainstorm and bring these plans to life! RSVP to minnesotarising[at]gmail.com by Tuesday, January 22! How have the trends of a 24-hour newscycle and the introduction of citizen journalism and activism through social media changed the news reporting landscape? This week, Social Media Breakfast Minneapolis/Saint Paul asks ABC News Producer, Dennis Powell, to weigh in on his view of the story. Join SMBMSP for "Social Media & Breaking News," the 53rd in their breakfasts of bacon a side of social media! We'll kick off the New Year with a conversation with Dennis Powell, Managing Senior Producer at ABC News. He'll explain how news divisions across the country are harnessing the power of social media when breaking news happens and how ABC's social desk was instrumental in coverage of events such as Hurricane Sandy, Election Night 2012, and the recent shootings in Connecticut. Things may look different when you register, we're using our partner's online registration system. Contact us with any problems. Please register as an SMBMSP member for the partner price ($10). Copyright (C) 2013 Social Media Breakfast - Minneapolis/St. Paul All rights reserved. "We don't always know exactly what it is that creates social change. It takes everything from science all the way to faith, and it's that fertile place right in the middle where really exceptional campaigning happens - and that is where I strive to be." Looking to expand your mind and your stomach during the lunch hour? Join the Minnesota International NGO Network (MINN) at Holy Land Deli next week for casual, globally-minded conversation with international and interesting folks. As an added incentive, Holy Land is offering 10% off your meal ticket if you dine at the buffet! Come satisfy both your stomach and social appetites! Join us for a delicious networking lunch at Holy Land Deli (2513 Central Avenue Northeast Minneapolis, MN 55418). Come hear or share stories of work around the globe, meet others in the NGO sector, or just enjoy a hearty winter meal surrounded by interesting people. You can either order from the deli or indulge in the buffet. Due to the generosity of Holy Land everyone who eats from the buffet will receive a 10% discount! This is a casual environment for anyone interested in, or currently working in, international development. All are welcome!